A South Florida man who vanished nearly seven years ago in Iran was working for the CIA on an unapproved intelligence-gathering mission that, when it came to light inside the government, produced one of the most serious scandals in recent CIA history — but all in secret, an Associated Press investigation found. The CIA paid Robert Levinson's family $2.5 million to head off a revealing lawsuit. Three veteran analysts were forced out of the agency and seven others were disciplined. After the AP’s report Thursday, the family of the Coral Springs man said that the U.S. government has not done enough to find and save him. “Bob is a courageous man who has dedicated himself, including risking his own life, in service to the U.S. government. But the U.S. government has failed to make saving this good man’s life the priority it should be,” Levinson’s family said in a statement Thursday night. Christine Levinson: "We Take It One Day at a Time"
Christine Levinson spoke with NBC 6 on Thursday, as the sixth anniversary of the disappearance of her husband Bob Levinson drew near. She said her family keeps taking things "one day at a time and hoping today will be the day that he is home." The U.S. publicly has described Levinson as a private citizen. "Robert Levinson went missing during a business trip to Kish Island, Iran," the White House said last month. That was just a cover story, according to the Associated Press' reporting. In an extraordinary breach of the most basic CIA rules, a team of analysts — with no authority to run spy operations — paid Levinson to gather intelligence from some of the world's darkest corners. He vanished while investigating the Iranian regime for the U.S. government. Details of the disappearance were described in documents obtained or reviewed by the AP, plus interviews over several years with dozens of current and former U.S. and foreign officials close to the search for Levinson. Nearly all spoke on condition of anonymity because they were not authorized to discuss the sensitive case. There is no confirmation who captured Levinson or who may be holding him now. Although U.S. authorities have investigated possible involvement of drug traffickers or terrorists, most officials say they believe Iran either holds him or knows who does. Two of the children of a former FBI agent from Coral Springs who disappeared in Iran five years ago were presented with college grants at a ceremony in Tamarac Thursday. The Society of Former Special Agents of the FBI presented $10,000 to the children of Robert Levinson at the luncheon ceremony at Colony Coast Country Club. David Levinson said Bob Levinson was his mother Christine's "love of her life, and for her to be without him every day, I know that is crushing for her." 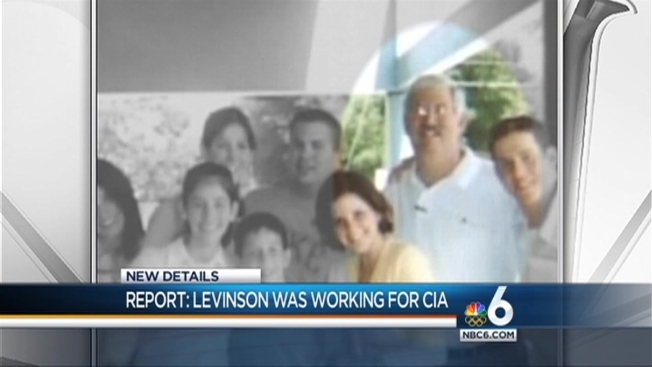 The AP first confirmed Levinson's CIA ties in 2010 and continued reporting to uncover more details. It agreed three times to delay publishing the story because the U.S. government said it was pursuing promising leads to get him home. The AP is reporting the story now because, nearly seven years after his disappearance, those efforts have repeatedly come up empty. The government has not received any sign of life in nearly three years. Top U.S. officials, meanwhile, say his captors almost certainly already know about his CIA association. There has been no hint of Levinson's whereabouts since his family received proof-of-life photos and a video in late 2010 and early 2011. That prompted a hopeful burst of diplomacy between the United States and Iran, but as time dragged on, promising leads dried up and the trail went cold. A National Security Council spokesperson responded to the AP’s story Thursday. "Without commenting on any purported affiliation between Mr. Levinson and the U.S. government, the White House and others in the U.S. Government strongly urged the AP not to run this story out of concern for Mr. Levinson's life,” NSC spokesperson Caitlin Hayden said. “We regret that the AP would choose to run a story that does nothing to further the cause of bringing him home. The investigation into Mr. Levinson's disappearance continues, and we all remain committed to finding him and bringing him home safely to his family." Immediately after Levinson's disappearance in March 2007, the CIA acknowledged to Congress that Levinson had previously done contract work for the agency. But the agency had no current relationship with Levinson and there was no connection to Iran, the CIA assured lawmakers. But in October 2007 Levinson's lawyer discovered emails between Levinson and his friend Anne Jablonski, who worked at the CIA. Before his trip, Levinson had told Jablonski that he was developing a source with access to the Iranian regime and could arrange a meeting in Dubai or an island nearby. Problem was, Levinson's contract was out of money and, though the CIA was working to authorize more, it had yet to do so. "I would like to know if I do, in fact, expend my own funds to conduct this meeting, there will be reimbursement sometime in the near future, or, if I should discontinue this, as well as any and all similar projects until renewal time in May," Levinson wrote. There's no evidence that Jablonski ever responded to that email. And she says she has no recollection of ever receiving it. She said she had no idea he was going to Iran. In a later email exchange, Jablonski advised Levinson to keep talk about the money "among us girls" until it had been officially approved. Jablonski signed off: "Be safe." Levinson said he understood. He said he'd try to make this trip as successful as previous ones. And he promised to "keep a low profile." Levinson's flight landed on the Iranian island of Kish late the morning of March 8, a breezy, cloudy day. He checked into the Hotel Maryam, a few blocks off Kish's eastern beaches. Levinson's source on Kish, Dawud Salahuddin, has said he met with Levinson for hours in his hotel room. The island is a free-trade zone, meaning Americans do not need a visa to visit. Salahuddin was an American fugitive wanted in the killing of a former Iranian diplomat in Maryland in 1980. Since fleeing to Iran, Salahuddin had become close to some in the Iranian government, particularly to those seen as reformers and moderates. The hotel's registry, which Levinson's wife has seen, showed him checking out on March 9, 2007. What happened to him next remains a mystery. Once the Senate Intelligence Committee saw the emails between Jablonski and Levinson, lawmakers demanded to know more. That touched off an internal CIA investigation, which discovered that the agency's relationship with Levinson had been unusual from the start. Instead of e-mailing his work product to the CIA, he mailed packages to Jablonski's home in Virgina. His correspondence was primarily with Jablonski's personal email account. Jablonski said the analysts simply wanted to avoid the CIA's lengthy mail screening process. "I didn't think twice about it," she said in an interview. The Illicit Finance Group also didn't follow the typical routine for international travel. Before someone travels abroad for the agency, the top CIA officer in the country normally clears it. That way, if an employee is arrested or creates a diplomatic incident, the agency isn't caught by surprise. That didn't happen before Levinson's trips, former officials said. He journeyed to Panama, Turkey and Canada and was paid upon his return, people familiar with his travels said. After each trip, he submitted bills and the CIA paid him for the information and reimbursed him for his travel expenses. Nobody who reviewed the intelligence or reviewed the contract ever flagged this as a potential problem, investigators found. The whole arrangement was so peculiar that CIA investigators conducting an internal probe would later conclude it was an effort to keep top CIA officials from figuring out that the analysts were running a spying operation. Jablonski adamantly denies that. The internal investigation renewed some longtime tensions between the CIA's operatives and analysts. The investigators felt the analysts had been running their own amateur spy operation, with disastrous results. Worse, they said the analysts withheld what they knew, allowing senior managers to testify falsely on Capitol Hill. 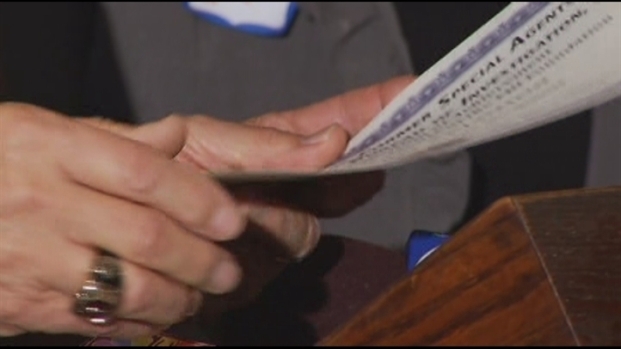 Investigators blamed Jablonski and fellow analyst Tim Sampson for not coming forward sooner. But the analysts said the evidence had been hiding in plain sight. All the information Levinson provided was uploaded to a shared server for others to see. The invoices had been submitted and paid. The analysts felt they were being blamed as part of an internal CIA power struggle. Sampson said he was never aware of Levinson's emails with Jablonski or the Iranian trip. "I didn't even know he was working on Iran," he said. "As far as I knew he was a Latin America, money-laundering and Russian organized crime guy. I would never have directed him to do that." Sampson offered to take a polygraph. Jablonski says she has consistently told the truth. Recently, as the five-year statute of limitations concluded, FBI agents interviewed her again and she told the same story, officials said. In secret Senate hearings from late 2007 through early 2008, CIA Deputy Director Stephen Kappes acknowledged that the agency had been involved in Levinson's disappearance and conceded that it hadn't been as forthcoming as it should have been, current and former officials said. Once the internal review was complete, the CIA gave the family a $2.5 million annuity, which provides tax-free income, multiple people briefed on the deal said. Neither side wanted a lawsuit that would air the secret details in public. U.S. investigators said they believe Iranian authorities, if they have Levinson, must know about his CIA ties. Levinson wasn't trained to resist interrogation. U.S. officials could not imagine him withholding information from Iranian interrogators, who have been accused of the worst types of mental and physical abuses. In an October 2010 interview with the AP, Mahmoud Ahmadinejad, the president of Iran at the time, said his country was willing to help find Levinson. But he appeared to suggest he knew or had suspicions that Levinson was working for the U.S. government. "Of course if it becomes clear what his goal was, or if he was indeed on a mission, then perhaps specific assistance can be given," Ahmadinejad said. "For example, if he had plans to visit with a group or an individual or go to another country, he would be easier to trace in that instance." In late 2010 and early 2011, Levinson's wife Christine received a proof-of-life video and photos that the U.S. hoped signaled Levinson's captors were willing to negotiate. U.S. and Iranian officials met several times in secret, but to no avail. In March 2011, Secretary of State Hillary Clinton released a statement saying the U.S. had evidence that Levinson was being held "somewhere in southwest Asia." The implication was that Levinson might be in the hands of terrorist group or criminal organization somewhere in Pakistan or Afghanistan, not necessarily in Iran. U.S. intelligence officials still believed Iran was behind Levinson's disappearance, but they hoped Clinton's statement would offer a plausible alternative story if Iran wanted to release him without acknowledging it ever held him. Then, a surprising thing happened. Nobody is sure why the contact stopped. Some believe that all Iran wanted was for the United States to tell the world that Levinson might not be in Iran after all. Others believe Levinson died. Iran denies any knowledge of Levinson's whereabouts and says it's doing all it can. "If any help there is that I can bring to bear, I would be happy to do so," Ahmadinejad said in an AP interview in September 2012. In June this year, Iran elected Hassan Rouhani as president. He has struck a more moderate tone than his predecessor, sparking hope for warmer relations between Iran and the West. But Rouhani's statements on Levinson were consistent with Ahmadinejad's. "He is an American who has disappeared," Rouhani told CNN in September. "We have no news of him. We do not know where he is." At home in Florida, Christine Levinson works to keep her husband's name in the news pushing the Obama Administration to do more. Last year, the FBI offered a reward of $1 million for information leading to the return of her husband. But the money hasn't worked. In their big, tight-knit family, Bob Levinson has missed many birthdays, weddings, anniversaries and grandchildren. "There isn't any pressure on Iran to resolve this," his wife said in January, frustrated with what she said was a lack of attention by Washington. "It's been much too long."